Good morning and happy Tuesday! 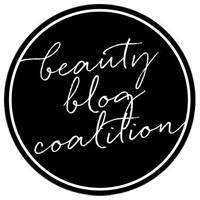 If you missed my post last night, you missed my very first Emily de Molly post. (Click here if you would like to see it.) 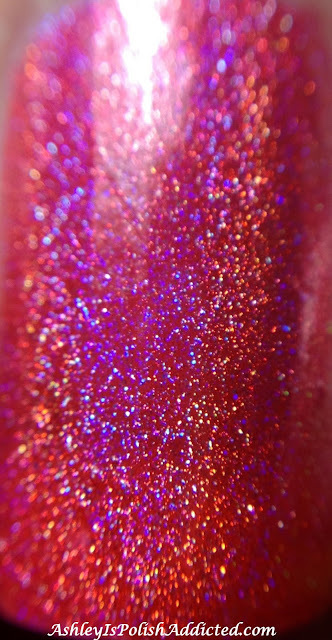 Well I have one more to show you (for now) and it is so gorgeous I just couldn't wait! 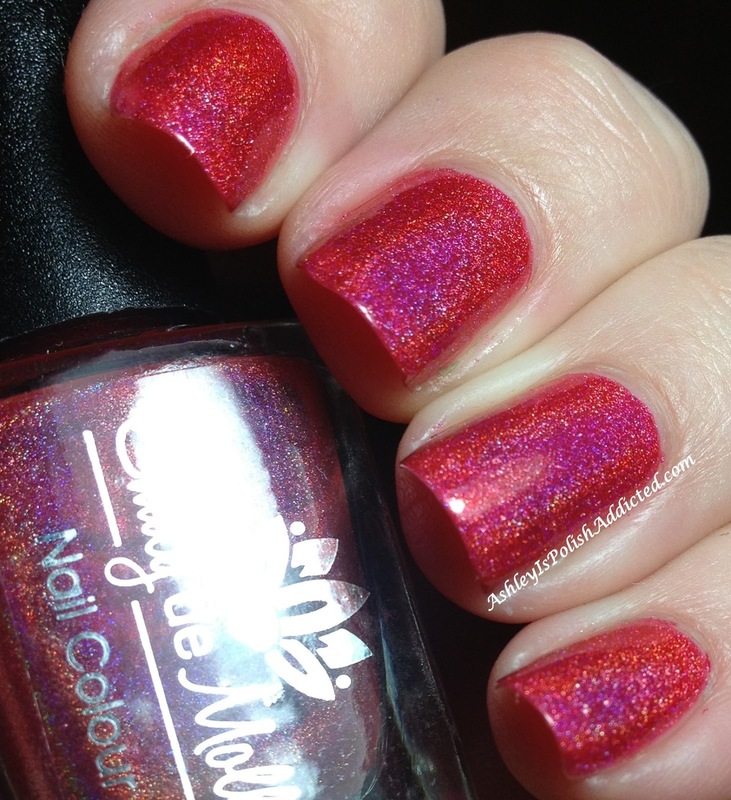 Seeing Red is a gorgeous bright pinkish-red linear holo that is simply stunning! I put this on and instantly fell in love. I ended up wearing it for a couple of days with very minimal tip wear. Application was perfect and I used 2 coats and no top coat for the photos. What do you think of this one? 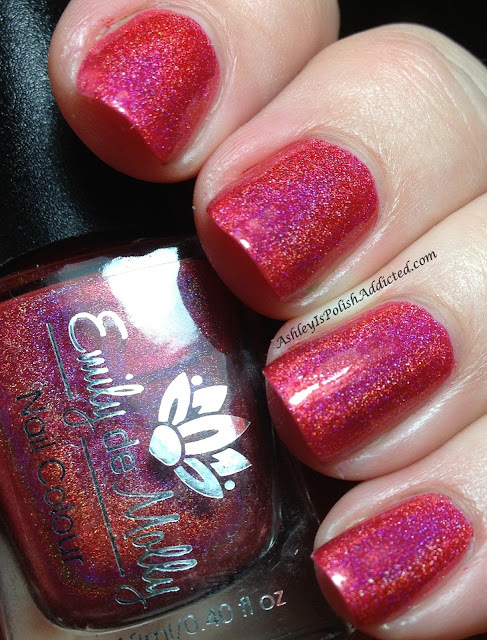 I love it and I now need MOAR Emily de Molly polishes! I love this one! I think I need it, like yesterday.